The Pacific University family reaches far and wide. 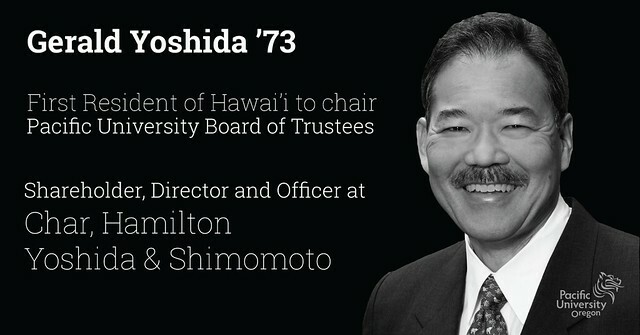 Almost a fifth of our incoming undergraduates each year are from Hawai‘i, and some 3,000 parents, alumni and friends live in Hawai‘i. When Nā Haumāna O Hawai‘i presents its 58th annual Lu’au on Saturday, it will do so in honor of a very special alumna, mentor and friend: “Aunty” Edna Gehring (nee Doar) ’70, MSEd ’72. "Aunty" Edna Gehring, advisor for Pacific's Hawai'i Club, is retiring after 35 years of service at Pacific. Her legacy will live on through an endowed scholarship for members of the club.